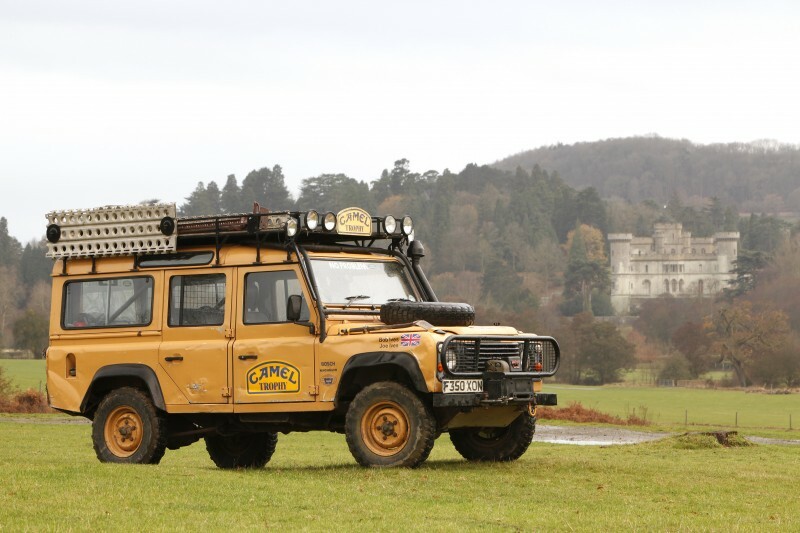 The Camel has been sighted at Eastnor Castle – Wildtrackers – The remote location specialists. Following the successful summer at The National Motor Museum at Beaulieu, the Camel has recently been one of the stars at Land Rover’s celebration 50 years of using Eastnor Castle Estate in Herefordshire for product testing and development. This two day press event highlighted the early Land Rover vehicles to have had their initial testing done on them at the estate, right up to the current line up of vehicles. Most of the Camel Trophy International Selections were carried out at Eastnor in the depths of winter with competitors being pushed to their limits and also receiving some amazing training in the Defenders and Discoverys using parts of the estate normally reserved for logging tractors!